This article is written in response to reader questions andsuggestions. Since the publication of Reef Aquarium Filtration I and II(Blundell 2005a, Blundell 2005b) I have received feedback from numerousreaders. While most of the comments have been of appreciation, somehave addressed terminology and concepts that had not been covered. Thisarticle is a continuation describing some of the more philosophicalfiltration practices and concepts. 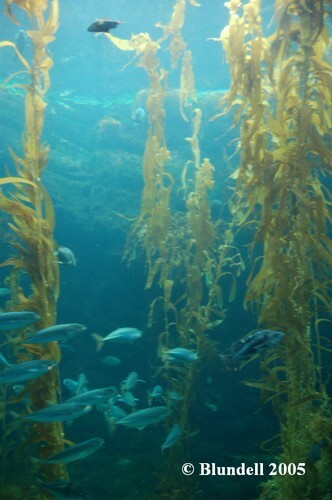 First off please understand that Natural Filtration in thepurest sense only takes place in the ocean. 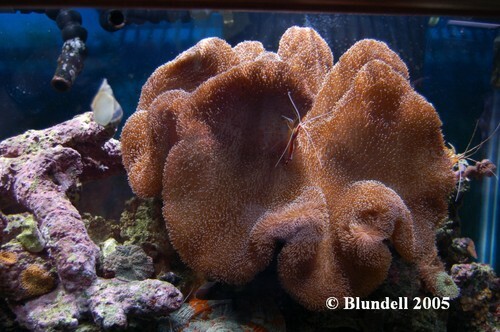 Even then, on a coral reefit is not sure whether or not any filtration actually takes place. 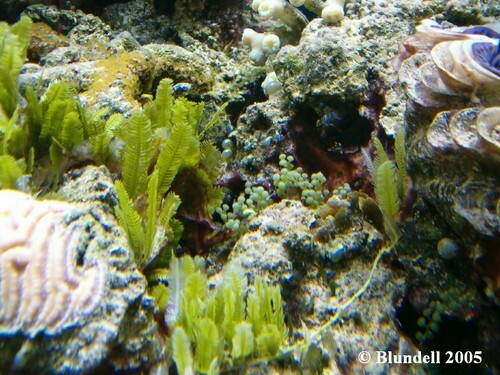 Somewould view corals, fish, plankton, and algae as organisms allcontributing to the filtration of the passing water. Others would viewthese organisms as part of the life cycle, all taking in food andexcreting waste, never once filtering the water and potentiallypolluting it. For the sake of argument let’s assume the coral reefs of theworld do have ongoing natural filtration. This filtration includessubstrate bacteria breaking down nitrogen compounds, corals eatingplankton, sponges trapping and consuming particles, and very, verylarge amount of water moving through a reef system. In the same way that one may argue of natural filtration onlytaking place in the ocean; one may defend the position that allaquarium filtration is artificial. In a manner of speaking nothingabout a captive aquarium is natural. Bioballs, protein skimmers, ozoneunits, and ultraviolet sterilizers are certainly not found on areef….. or are they? It is important to notice that this article is not titled”Natural vs. Artificial Filtration” nor is it titled “Natural orArtificial Filtration” but instead uses the key word and.This is not by chance but instead well thought out following the inputof fellow hobbyists. Because one could (and often do) argue that reefaquariums do not use any natural filtration, or that they heavily usenatural filtration, we will use a sliding scale for the breakdown ofcommon filtration methods. My best efforts to understand filtration methods has left mewith one overriding question. This question is what I ask myself everytime I am presented with a filtration query. 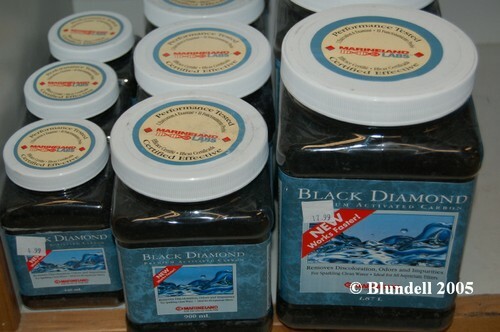 The question is “In whatways is this natural, and in what ways is this artificial?” Now youhave the question, and I encourage you to ask yourself this questionwhen you look at your own aquarium filtration. Some examples areexplored below. For years I considered these devices to be completelyartificial and the result of some amazing human ingenuity. It wasn’tuntil 1997 that I began to think otherwise. While speaking with a fewemployees from a public aquarium in Portugal I began to see the naturalbasis to protein skimmers. I asked a question to these employees as towhether or not they used any mechanical/biological/natural filtration.Their response was that the aquarium ‘only used natural filtration suchas live rock, deep sand beds, and protein skimmers’ (paraphrased).Simply put, I was confused. I had not heard anyone previously classifyprotein skimming (foam fractionation) as natural filtration. After somefollow up questions I soon understood their view. Quite near to theaquarium these employees would walk along the Northern AtlanticShoreline of the Iberian Peninsula. There they could witness theseafoam, or protein foam that was brought up on shore by the perpetualwaves. In this way, protein skimming is quite natural. While the endless of benefits of bacteria colonized live rockare not frequently debated what is of interest to many hobbyists arethe effects of everything else that can live on substrate. One exampleof this is benefits of living sponges. One of my favorite itemsavailable these days is the live rock produced and grown in the watersoff of the Atlantic coast of the United States. These live rock farmsin the waters around Florida produce eco-friendly rock full of life. I absolutely love this rock. 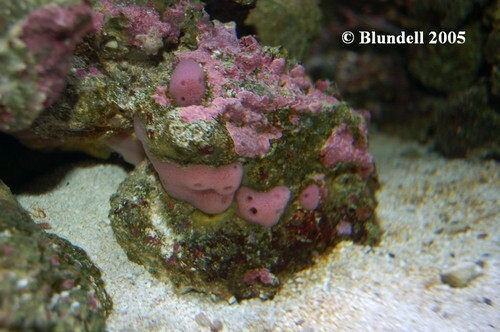 One of my favorite aquariums I’veowned was filled with this rock, and had a pair of Anemonefishes in it.Indeed Anemonefishes are not found in the Atlantic waters, andcertainly are not found with the rock, sponges, gorgonian, and otherlife that was abundant on my aquascaping. This combination was odd, andcertainly not natural in many ways. 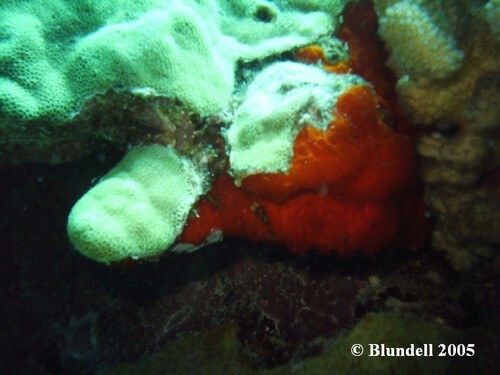 But then again sponges, gorgonian,crabs, Anemonefishes, and algae can be found on reef systems all overthe world. Not only found together, but often relying upon each otherfor survival. How natural and artificial are water changes? Do the currentssimply bring in vast amounts of clean water and wash away the dirtywater from the reefs? 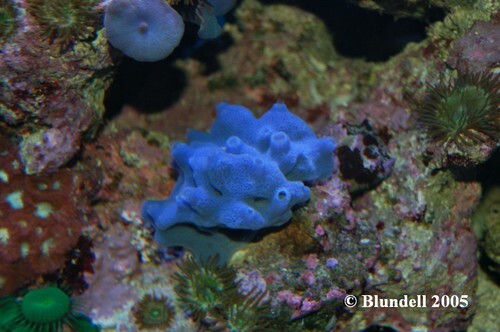 Or is it the same recirculating water moving fromone reef area to the next? Unfortunately I can’t make this item a two sided debate. Maybea reader can help me. So far, all my reading and personal observationssay that growing macroalgae as a way of taking nutrients out of thewater is natural filtration. To assess filtration methods for natural and artificialconcepts we need to be mindful of the overlapping terms. These twoitems are not exclusive but rather very depending on the perception ofthe viewer and method being employed. In order to form your own verdictremember the key question postulated here “In what ways is thisnatural, and in what ways is this artificial?”. Adam Blundell M.S. works in Marine Ecology, and in Pathologyfor the University of Utah. He is also Director of The Aquatic& Terrestrial Research Team, a group which utilizes researchprojects to bring together hobbyists and scientists. His vision is tosee this type of collaboration lead to further advancements in aquariumhusbandry. While not in the lab he is the former president of one ofthe Nation’s largest hobbyist clubs, the Wasatch Marine AquariumSociety (www.utahreefs.com).Adam has earned a BS in Marine Biology and an MS in the NaturalResource and Health fields. Adam can be found at adamblundell@hotmail.com. Blundell, A. 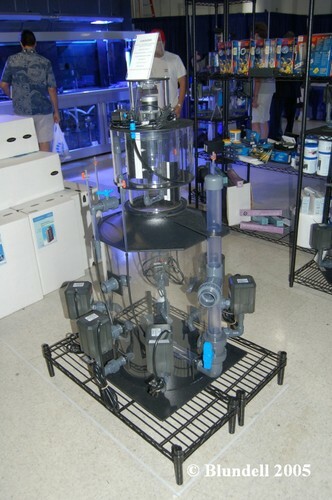 (2005a) “Reef Aquarium Filtration Part I:Mechanical and Biological Filtration”, Advanced Aquarist OnlineMagazine, http://www.advancedaquarist.com/2005/5/lines/,USA. 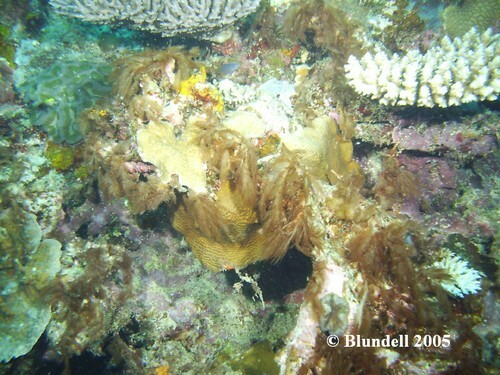 Blundell, A., (2005b) “Reef Aquarium Filtration Part II:Recycling and Removing”, Advanced Aquarist Online Magazine, http://www.advancedaquarist.com/2005/6/lines/,USA.